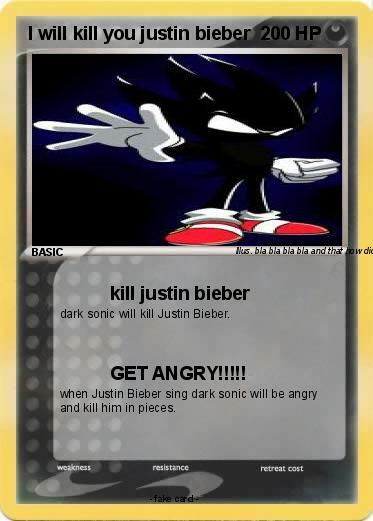 dark sonic will kill Justin Bieber. Attack 2 : GET ANGRY!!!!! when Justin Bieber sing dark sonic will be angry and kill him in pieces.